American Couple Curious Pics in the Mountain! 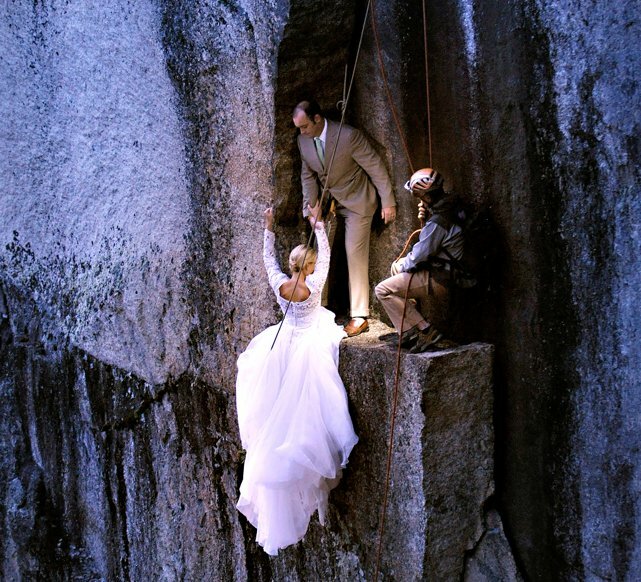 Professional photographers Jay and Vicki Philbrick are taking wedding photography to the edge with daring destination photo shoots on mountain cliffs in New Hampshire. The husband and wife team who make up Philbrick Photography are based in North Conway, New Hampshire and have been snapping photos together professionally for 12 years.